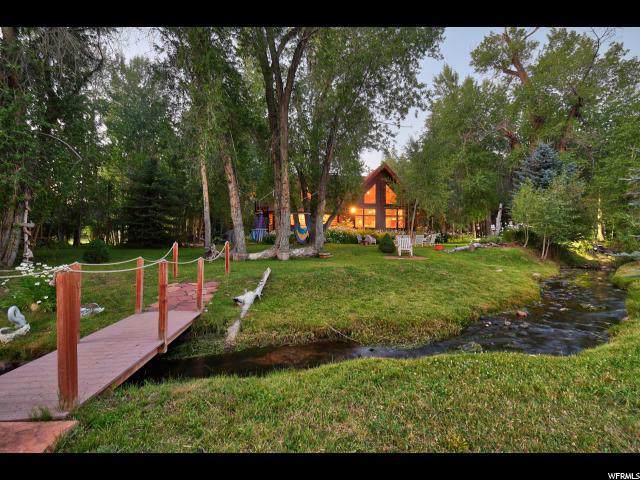 Nestled on the Provo River, this beautiful custom lodge estate consists of 7 lush acres of property, and features a mixture of meadows, aspens, pines and walking or skiing paths. Only 25 minutes from PARK CITY SKI RESORT and an AMAZING SNOWMOBILING location! Two creeks split off from the Provo River and wind their way lazily through the property. 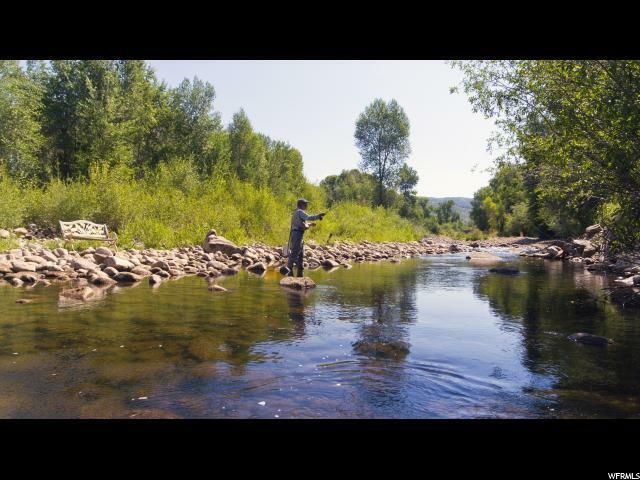 Experience WORLD CLASS FLY FISHING year round.This rare retreat includes a spacious on-suite Master Bedroom with private deck, fireplace, elegant tub, and double shower. Exquisite details such as vaulted ceilings, copper detailing, alder cabinetry and a Chef AGA stove oven await the culinary elite. 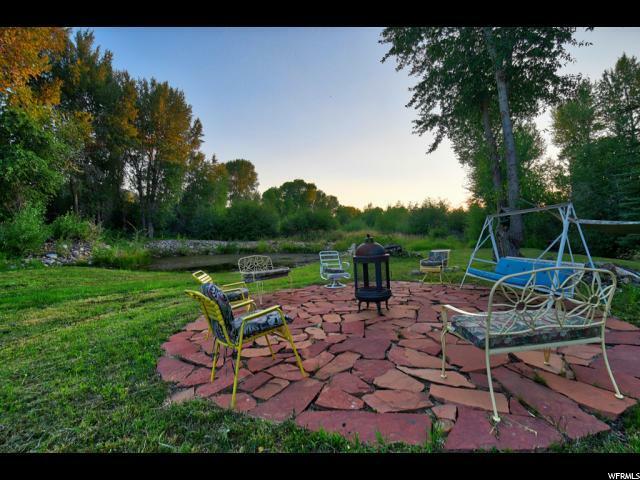 Guests can enjoy two separate bunkhouses facing the streams. Socialize by the fire pit, the large stone patio or in the uniquely built saloon. Many other GEMS throughout, such as a fishing pond, a volley ball court, horseshoe pits and a tea house for the little ones. This sanctuary is surely reflecting A LITTLE BIT OF HEAVEN FOR A LIFETIME LEGACY!